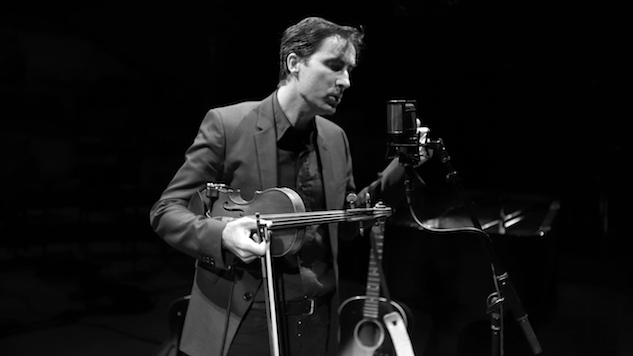 Daily Dose: Andrew Bird, "Bloodless"
Andrew Bird is back with his first new music in over a year. Released today, Nov. 2, “Bloodless” is Bird’s honest, yet optimistic take on our current political climate. The single was released with an accompanying video, under which Bird wrote a statement on its meaning. The video itself, directed by Matthew Daniel Siskin, is done in black-and-white and features Bird strolling through L.A. As he moves through the city, various worldly distractions are highlighted, such as people with their faces buried in cell phones and advertising non-essential products. At the same time, some of the city’s struggles are shown, such as homelessness and drug abuse. Check out the video below, along with Andrew Bird and Dianogah’s 2007 Daytrotter Session, and revisit Paste’s 2016 feature on Bird here.